Triple Black and Triple White lands on the NMD sneaker again and its on this adidas NMD R1 Primeknit Japan version. 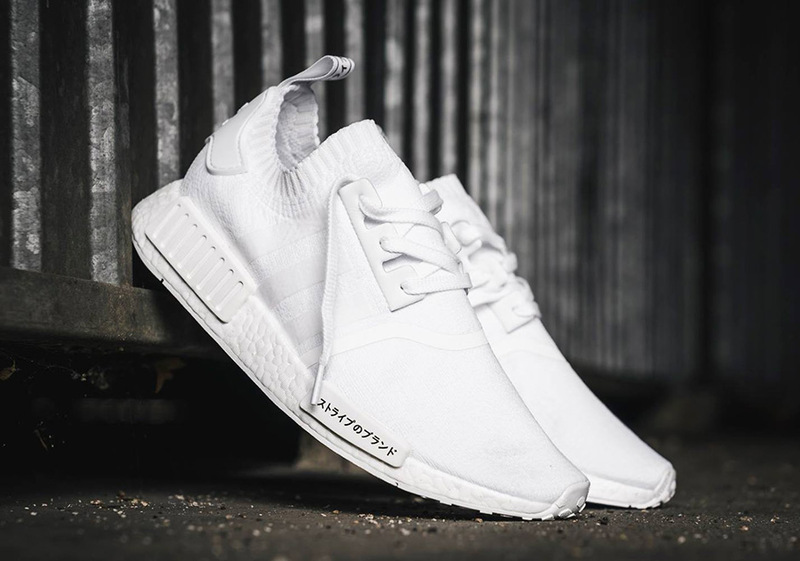 This style is a homage to earlier NMD releases, a far cry from the more recent NMD R2 renditions. 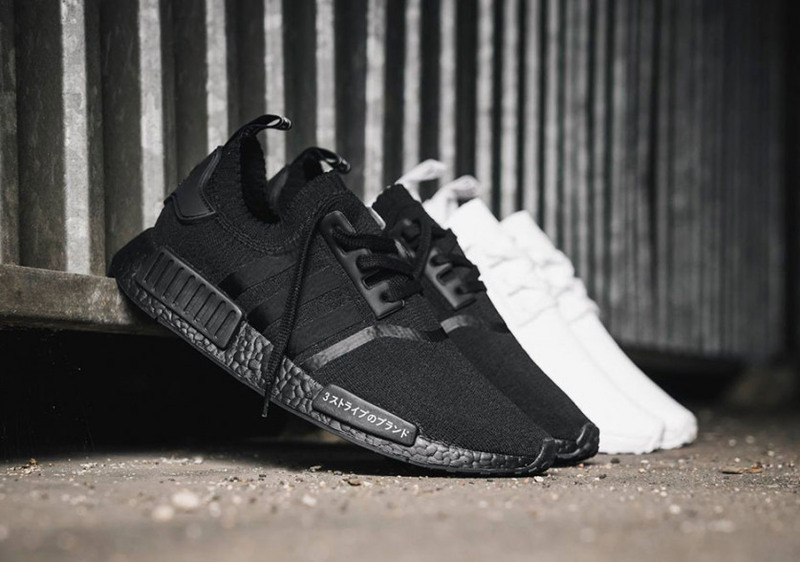 This duo consists of an all-black and all-white pair of NMD_R1s. Each shoe features a Primeknit upper with Japanese branding on the midsole blocks and back pull tab. The Boost on both matches the colourway, which means another appearance of coloured Boost for the black pair. The midsole text references adidas as "The Brand With the Three Stripes," a phrase that's been spotted elsewhere on sneakers from the German sportswear powerhouse. As with many of the NMD styles, welded three stripes sit across the sidewall and a chunky, synthetic overlay features at the heel. An elasticated ankle surrounds promises that ultimate sock-like comfort and a set of tonal laces complete the look. 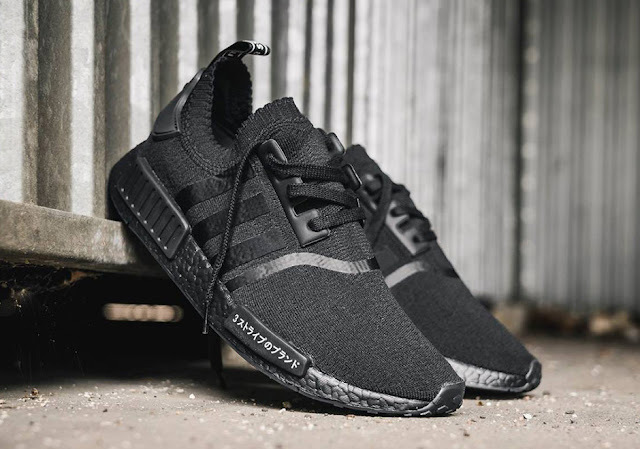 The adidas NMD R1 Primeknit Japan Triple Black & Triple White is available at selected retailers.